Did you know that many diamond buying companies pay as little as 5% of the actual diamond's value? Sending your jewelry to a company without knowing what they will pay and if they are being honest is risky. Cook County Buyers is Chicago's choice to sell diamonds. 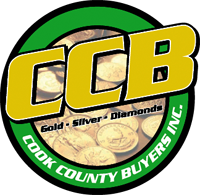 Cook County Buyers Inc. has an office in Skokie IL. He's available by appointment only, in his Skokie office or if you prefer, Mike can meet you anywhere in Northern Illinois for your convenience like; a coffee shop or restaurant near you. To contact him for a quote, call or text him directly at (773) 490-9828. Please give a short description of your item(s) including pictures and paperwork of the diamond Jewelry. Please include a short description of your item(s) including pictures and anyway paperwork. When you sell your diamond and gold jewelry to Mike, he evaluates your Jewelry on the spot and makes a fair offer.
" Before going to Cook County Buyers, I had found two other places to bring my jewelry to compare offers after this one. After sitting with Mike, I felt no need to look further, and I'll tell you why. He took a long time to evaluate each piece. He educated me by showing me diamonds of various values and how one can decipher. I could see it myself. As for pieces I had, he even questioned himself by going online to see what these types of jewelry were selling for, making sure neither of us would feel cheated. Mike told me what he could pay me and how much he believed he could make off each piece. He never pushed or persuaded. There was no pressure. And I felt he was honest. Nice guy, too! So, I sold him the whole pile and walked away with a sweet bundle. This was a win-win. "